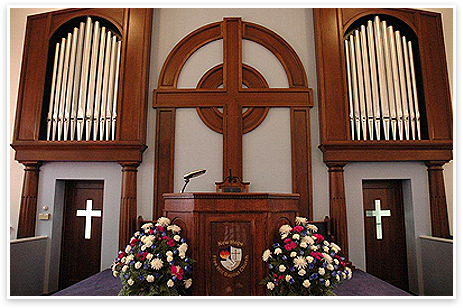 Welcome to the New Hope Free Will Baptist Church Website! We are a faith-based, Bible believing, family-oriented church that focuses on establishing a personal relationship with Jesus Christ. We are a growing congregation that presents many opportunities for all ages to worship, study, learn and grow with us as Christian disciples. We invite you to visit and fellowship with us so that we may help you meet your spiritual, physical, and emotional needs, while experiencing the love of God that is in Christ Jesus Our Lord! Our Church Theme for 2013 is "Pressing on the Upward Way!" Philippians 3:14 (NKJV) "I press toward the goal for the prize of the upward call of God in Christ Jesus." We are now on the "otherside" of 2012! Time is moving us onward, yet it is up to us to move "Upward." The Word of God says that we have been called with a "heavenly calling" (Hebrews 3:1), and our desire must be to move in the direction for which God has called us in Christ Jesus. In the text (Philippians 3:13-15), the steps to "Pressing on the Upward Way" are revealed.